Get more affordable workers compensation insurance for your retail or wholesale store. See if your store qualifies for one of our Target Retail or Wholesale Programs. Retail stores, wholesale distributors, warehousing businesses and apparel stores make up almost 12% of the entire workers compensation insurance market. While most carriers are willing to quote coverage for stores, prices vary considerably between insurance companies. That's why we've designed Target Retail and Wholesale Store Programs to help business find the price on their coverage. Buy WC coverage today. 8017 Retail Store. This is the most common classification code for most retail stores and includes all stores that sell merchandise that are not otherwise in a specialty store class code. Applicable stores include general merchandises, clothing, beer, tobacco, supplies, electronics, gifts, furniture, paint, carpet, shoes, drug stores, etc. 8006 Grocery Store. This class includes stores that sell retail groceries, fruits, vegetables, meats, frozen foods and delicatessen stores. In many states, convenience stores will be included in this class code. 8010 Hardware Stores. Applies to both retail and wholesalers who sell hardware such as nails, bolts, sockets, tools, and other related items. 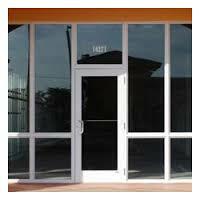 Other stores that may be included in this class are auto parts stores, HVAC parts, radio/TV parts stores. 8044 Furniture Stores. This code refers to both retail and wholesale dealers who primarily sell furniture. Merchandise includes home furnishings, antiques, lawn furniture, office furniture, etc. 8018 Wholesale Store. Wholesale operations generally include the maintenance of warehouse inventories and may include assembling, sorting, packaging and grading of goods. Similar operations apply to 8017 on a retail store basis. 8045 Retail Drug Store. This class includes all pharmacies that derive at least 40% of sales from prescriptions. This includes compounding, mixing, and blending as retail components of the retail sales of drugs. CODES There are numerous other classification codes used to define specialized stores such as Jewelry Repair-3383, Florists-8001, Bicycles- 8010, and more. NOTES Many states often utilize different codes for certain types of classification so classification may vary. Call our Workers Comp Specialists for details about your classification clods. In addition to the best prices on workers compensation insurance, We've developed lower cost package solutions for most types of retail and wholesale businesses. Ask about our package program discounts and credits. Mono-line workers comp coverage and BOP package coverage options for most types of stores. Travelers offers very affordable rates and package discounts for both retail and wholesale stores. First Comp is the perfect choice for new and small business retail stores and distributors. Accident Fund has target programs for Bakeries, sandwich shops, convenience stores and Florists. Employers has a huge appetite for grocery stores clothing stores. as well as retail and wholesale. Hartford is our GO TO carrier for full commercial packages for most types of retail and sporting goods stores. We've worked hard with our insurance partners to develop the very best workers compensation solutions for almost every type of store imaginable. Whether your a small retail outlet, or a large franchise of grocery stores, chances are we can help find you lower rates..
Start a quote for your business to see if you qualify for lower rates on your next work comp policy. Or give our Specialists a call today at 888-611-7467.